Under Florida law, when a couple is married, any children born during that union are presumed to be the biological offspring of the mother’s husband. The issue of establishing paternity becomes much more difficult, however, when a child’s parents are not married. In these cases, the alleged father must go through a series of steps before his status as the child’s father for legal purposes will be established. To learn more about how to prove that you are the biological parent of a child, you should strongly consider retaining a Florida paternity lawyer who is familiar with state law on establishing parental rights. There are actually a number of different ways that parents can establish paternity, one of which is to voluntarily sign an acknowledgement of paternity form at the hospital when the child is born. This is one of the easiest ways to establish paternity, but requires that the father actually be present at the birth. Furthermore, this option is not available if the child’s mother is married to someone else at the time of the birth. Alternatively, if a couple was unmarried at the time of the birth, but later chose to get married, they have the option of completing and signing an affirmation of paternity, at which point, the child’s father will be listed on the birth certificate. 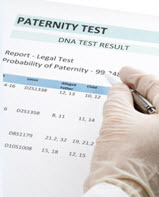 The final way to establish paternity is through a court order issued by a judge. Either parent can file a civil action to hold a hearing where paternity will be established, usually through the completion of a genetic test. However, if an alleged father was served with notice of the hearing, but didn’t attend, the court can determine that the person is the child’s father by default without the proof supplied by a genetic test. Establishing paternity has a number of benefits to both the parents and the child. For instance, the child’s mother or father can only pursue child support from the other parent when paternity has been determined. Similarly, a father cannot request shared custody or visitation unless he has been declared the legal father of the child. Children can also benefit from knowing their family medical history, being the beneficiary of a health or life insurance policy, having access to Social Security and veteran’s benefits, and being eligible to receive inheritances and military allowances. Finally, establishing paternity can allow for the growth and fostering of a father-child relationship, which can benefit both parties, both in the short and long-term. 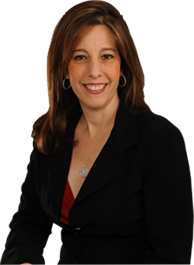 If you have questions about establishing paternity of your child, or someone else is falsely claiming to be the father of your child, please call dedicated Fort Lauderdale paternity lawyer Sandra Bonfiglio, P.A. at 954-945-7591. You can also reach a member of our legal team by sending us an online message. Initial case evaluations are conducted free of charge, so please don’t hesitate to call or contact us online today.